Hello, I'm Tony and I'll be your tour guide today, but before we go let me tell you of some of my travels. As a kid in the 50's and 60's I had a lot of fun playing and riding on bikes. In the 70's and 80's I grew up (some) and started a family. In 1995 my teenage son said "hey dad we should get mountain bikes and go riding." We got mountain bikes and we rode all over San Diego County and beyond. Now my son is grown up (sort of) and I just kept on riding. Thank you Matt. It wasn't long after Matt's suggestion that I started riding with San Diego Bicycle Touring Society and not long after that that I began leading weekend rides and going on weeklong organized tours with them. As one thing leads to another, in 2000, I made my first cross country self contained tour from Anacortes, Washington to Bar Harbor, Maine, riding solo and making friends. Following that success, in 2005, I rode with one other rider from San Diego, California to Saint Augustine, Florida, again making friends and memories that will last forever. With my circle of riding friends growing, in 2006, I rode in a supported relay from Los Angeles to Washington DC to benefit the Police Officer's Memorial in Washington DC. In 2012, I retired from the California Highway Patrol (having worked all 31 years in San Diego) and celebrated by riding the Pacific Coast from Vancouver, British Columbia to Tijuana, Mexico. 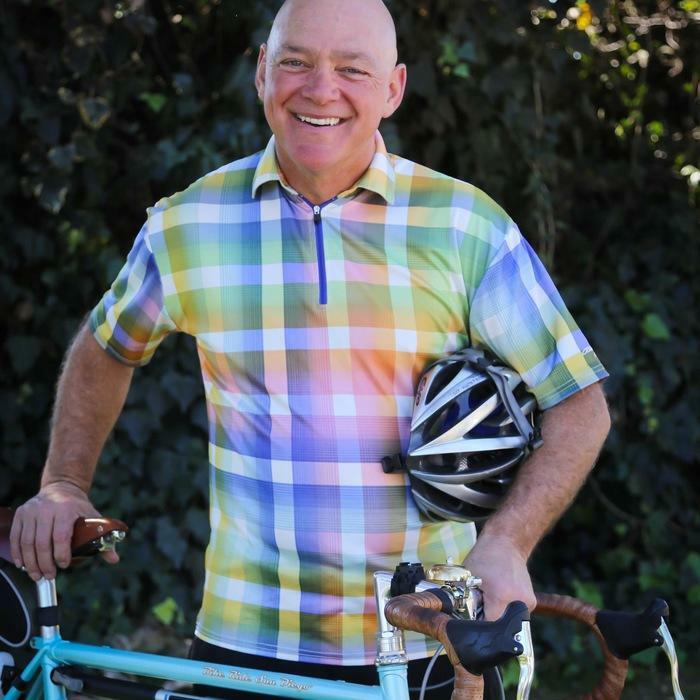 With my career behind me and San Diego and cycling in my heart I started Bike Ride San Diego, a business built on my passion for cycling and exploring. In addition to Bike Ride San Diego I'm an active member of the San Diego Bike Club where I lead weekend rides. Alright, enough about me, let's go see San Diego. What is your personal favorite tour area? I love the Point Loma tour for its beauty, the variety of riding conditions, and being convenient to the City. Do you ever tour out of the country? Yes, I have ridden in Mexico, Canada, Spain and Italy.